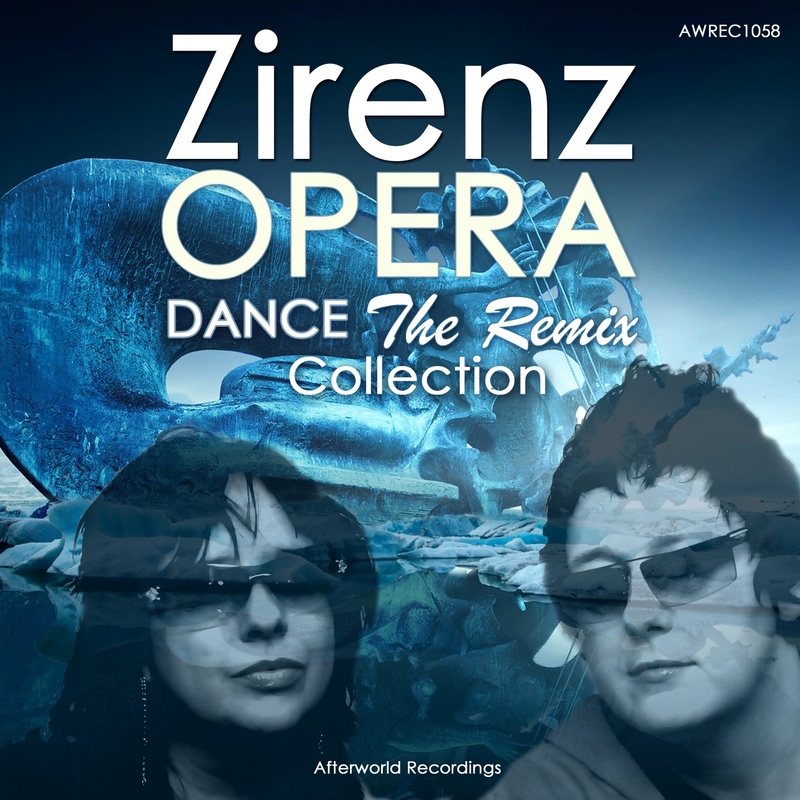 Welcome to the Album release of ZIRENZ OPERA DANCE The Remix Collection that is currently featured in the Beatport Hype TOP 100 Chart and is getting some cool support from many underground DJ’s inclusing BluEye, Giuseppe Ottaviani, Suzy Solar, OzzyXPM, Akku, Mariano Ballejos, Miguel Angel Castellini, Jenny Karol, DJ Nick Turner and DJ Alex Georgoulis. This Album showcases the Dramatic Operatic Classical crossover pop Vocals of Zirenz and the collaboration compositions of their esteemed DJ colleagues Men-D, Matt Holiday and Ken Plus Ichiro. Zirenz music has had influence from the great composers of Opera Mozart, Puccini , Wagner and film composers Ennio Morricone , John Williams, Hans Zimmer , Danny Elfman along with the Trance and electronic influences of Gaia Tuvan / Armin Van Buuren, DIM3NSION, Moby, Jean-Michel Jarre and the legend Vangelis all have made an impact on the music of Zirenz, and Over the last decade Zirenz have had success combining their love of Operatic Classical crossover pop Vocals and dramatic dance music composition reaching No.1 and top 10 chart positions in Beatport, iTunes and the Deezer Charts. The Remixes, for this special Remix collection album Zirenz have handpicked a selection of talented Remixers from across the globe, who have brought their own quality musical interpretations to the dramatic Zirenz vocals which we are sure you will enjoy. First we have the super charged Anthem Akku Remix of “Dark is the Moon” a foreboding dark driving trance masterpiece that will ignite your aural senses. The next Remixer Miguel Angel Castellini has remixed several tracks on this Remix Collection album that includes the heavenly remix of, “The Prayer”, the Uplifting remix of, “Celtic Heaven” the experimental Rock Opera remix of “Concerto” the cinematic trance remix of “Valhalla” and the ethereal remix of “Dark is the moon” all bringing an amazing combination of powerful unique sounds to blend with the dramatic Zirenz Operatic Trance vocals. Next we have the beautiful uplifting and driving trance Remix by Mariano Ballejos of, “Vallhalla“ who perfectly sets the Zirenz dramatic story telling vocals within his Remixed work. Finally we have the cinematic ambient Nordic Noir Remix of “The Mountain Prayer”, by the Electronic masters Delia Derbyshire Appreciation Society who place the Zirenz vocal sounds in a new synthetic dimension. Zirenz are no strangers to the world of OPERA as Bex Hazard of Zirenz gained an entrance scholarship to train at the prestigious Royal Academy of Music London for several years graduating with Hons in Voice and OPERA Performance. While at the RAM Bex Hazard training with world class Opera singer, Yvonne Minton CBE, and worked with Opera directors and producers John Copley CBE, Mike Ashman, Ian Ledingham MA, FRAM, FRCO ,James Lockhart , Michael Rosewell and the Italian Soprano Graziella Sciutti. After graduating from the RAM she studied privately with the world renowned Opera singer Dame Felicity Palmer developing her vocal technique and repertoire. Bex also won several scholarships and awards for Singing the Arthur Burcher Memorial Prize Royal Academy of Music ,the John Ogden Scholarship Mansfield Arts Council, the Grisi and Mario Prize for singers Royal Academy of Music and the Alfred Alexander Award & Paton Award Royal Academy of Music. Bex Hazard Operatic roles include: Ino – Handle’s OPERA – Semele, Lapák, the Dog – Janacek’s OPERA – The Cunning little Vixen, Hippolyta – Britten’s OPERA – A Midsummer Nights Dream and La Zia Principessa – Puccini’s OPERA – Sour Angelica. Cat Llewleyn of Zirenz was a member of the Youth choir of Wales & Youth Orchestra of Wales performing on Welsh TV and Radio. Cat Llewelyn did an Art foundation at WGIHE and gained a Masters degree in Computer Science at Swansea University. Cat Llewelyn then as a vocalist went on to study privately with International Vocal Coach Mary Hammond (LRAM, FRAM) and she performed in London fringe theatre’s the Music Theatre Rolls of, Janet -The Rocky Horror Show and Calamity – Calamity Jane. Zirenz also play a selection of musical instruments including piano, flute, guitar and Cat is learning to play the Celtic Lever Harp. Zirenz have signed a publishing sync plus deal with the Award winning Bucks Music Group and a Rights Management deal to look after their music rights Worldwide with Absolute Rights Management. They also have a worldwide distribution deal with Believe Digital. Finally a Big thanks to all the fantastic Remixer’s Akku, Mariano Ballejos, Miguel Angel Castellini, Delia Derbyshire Appreciation Society and Rhi at Bucks Music Group who have all joined us on this incredible journey, in the words of Shakespeare “If music be the food of love play on” so turn up the volume and play. The post Album Release Hits the Beatport Hype Charts ZIRENZ OPERA DANCE The Remix Collection appeared first on Hammarica.